Exploring life and God through the lens of sports...with an Aussie accent. 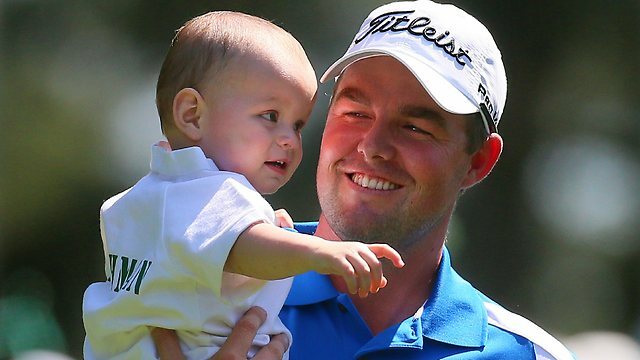 At the conclusion of the first days' play of the 2013 Masters an Australian, Marc Leishman shared the lead with Sergio Garcia. Leishman is certainly not a big name in professional golf. He's only ever won one tournament and in 2012 finished 28th in the FedEx Cup rankings and this year is ranked just 104th on the money list entering the Masters. But he's still a pretty young golfer and no mug. In 2009 he won the PGA Tour's "Rookie of the Year" award. Yet as I searched to find some articles about his round and bit of his background, I drew a blank. I could find plenty of articles about Tiger Woods shooting a 70. I also found lots of coverage of a 14 year old amateur from China who shot a 73. (Which is truly amazing!!!) I found editorials (Thanks Rick Reilly) pondering if this was going to be Sergio's breakthrough at last. But I could hardly find more than a paragraph on Leishman. Check out this ESPN summary, and at the very end you get a couple of Leishman comments. Then when the dust settled after Day 2 of the Masters, another Aussie found himself in the lead: Jason Day. One stroke clear of Marc Leishman and Fred Couples. At one stage "The Next Big Thing" from Down Under, Day has failed to live up to that billing. However, he's still had a handy career and is young. Two Aussies in the top 3!!! Again I went searching for articles and again only found headlines like this BBC gem, "Tiger Woods Stays in the Hunt as Day Leads". Well at least Day got a mention! Again that 14yo stole the spotlight after he was penalised a stroke for slow play. Then even later Tiger hit the headlines again when a review of the days play resulted in him receiving a 2 stroke penalty for an improper drop. Now I understand how the media works. They make money when people read their articles. Tiger Woods and a 14yo golf prodigy will generate more readers than two relatively unknown Australians, even if they're leading the Masters. Like CNN and Fox sports media also thrives on controversy. So the sports radio today was filled with discussion about the two penalties. Should Guan have received a penalty? Did the Augusta Golf Club have a grudge against a 14 year old making the cut? Did it impact the reputation of the course to have kid shoot 73? Should Tiger have been disqualified? Should TV viewers be allowed to phone in rules violations? Did Tiger receive favorable treatment? In this ESPN article Gene Wojciechowski argues that Tiger didn't receive special treatment with his penalty. But when we consider how much of a draw Tiger is and how he impacts TV ratings at first glance it sure looks like he received favorable treatment. And perception is everything. In years to come this will be remembered as the Masters in which Tiger should have been disqualified. Then when Day 3 is finally in the books 3 Aussies find themselves in 3rd & equal 4th. This is a remarkable opportunity for a proud golf nation that has never had a winner at the Masters. Several Aussies have come close, but all found ways to lose. So who are the media going to write about now? Tiger again? Guan? Well, finally the leader of the Masters gets some love!! On the ESPN home page there's a story all about Grant Snedeker. Mind you, there's also a headline about a certain 14 year old golfer and his slow play again. AND a picture of Tiger with the headline "Tiger Shoots 70". 2. Favoritism is evil! I understand and accept the commercial realities that mean not all golfers are treated equal. But I don't like it. It stinks. God thinks so too. That's why he warns the church several times not to play favourites. Favouritism ruined the Lord's Supper in 1 Corinthians 11. When the church in Corinth came together the wealthy ate together, and the hungry Christians watched them. Paul went so far as to say that their celebration of the Lord's Supper wasn't even the Lord's Supper. It was unacceptable! Favoritism. Prejudice. Racism. Elitism. Cliques. Homogenous Communities. Call them what you will, it has no place in the church. The author of James addresses this issue as a major topic in chapter 2. Here's his summary. "If you really keep the royal law found in Scripture, “Love your neighbor as yourself,” you are doing right. But if you show favoritism, you sin and are convicted by the law as lawbreakers." But that wouldn't really happen in the church today would it? Surely we wouldn't treat two guests on the same Sunday morning differently based on their clothing, or piercing, or education, or wealth, or beauty, or marital status, or number of children, or singing ability, or... Surely we wouldn't do that in our church! "REALLY? Not even if Tiger Woods walked through the door?" I grew up loving God and sports. Church was a constant in my life, and every spare moment was spent hitting, kicking or throwing a ball. In a small school I played a bit of everything over the years: cricket, soccer, basketball, volleyball, beach volleyball and after high school Aussie Rules. Since moving to the US of A in 1999 to prepare for ministry, I jumped on the bandwagon of the Colts (NFL), Cardinals (MLB), Pacers & Grizzlies (NBA), and Sabres (NHL), U of Memphis (NCAA) with soft spots for the Bills and Saints (NFL) just because I lived near them. Basically, if there's a sport with a ball... I'm interested!